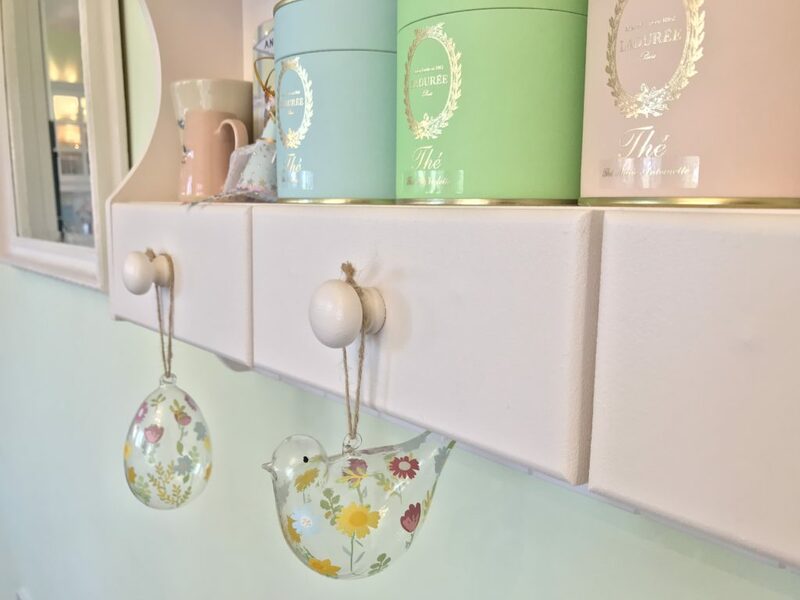 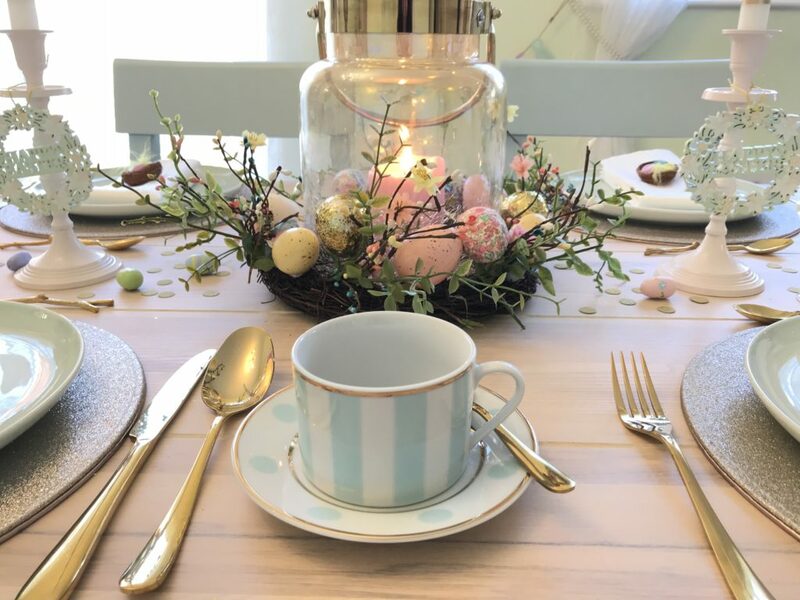 I always love picking up a few little bits and pieces for my home for Easter & Spring and this year has been no exception as there’s lots of pretty decorations and pastel china featuring in all the Spring /Summer interiors collections. 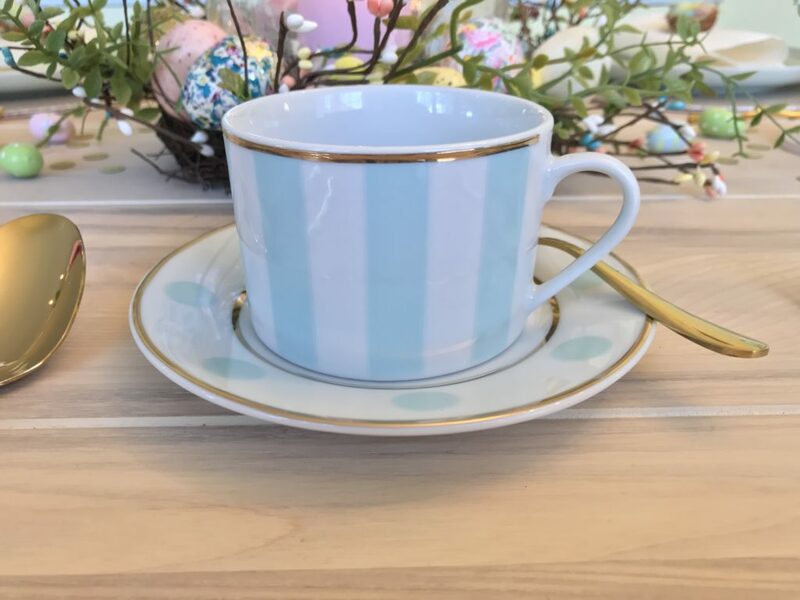 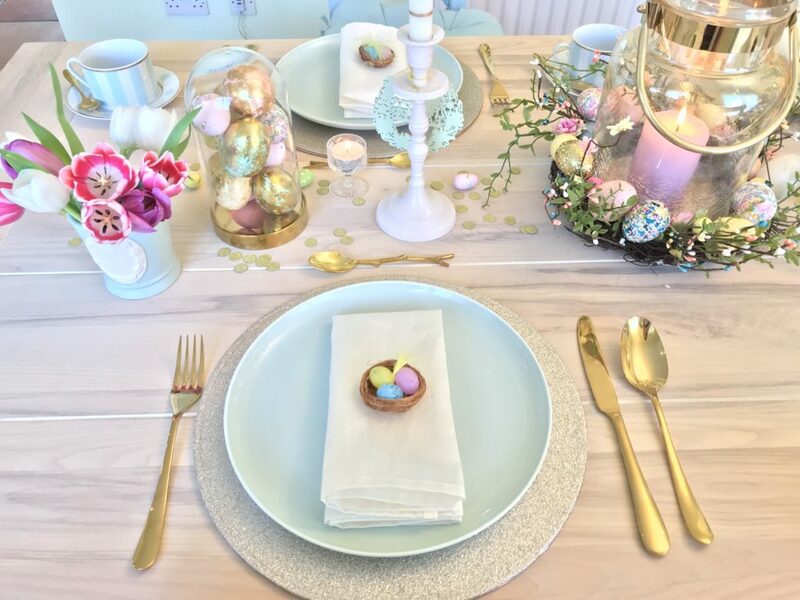 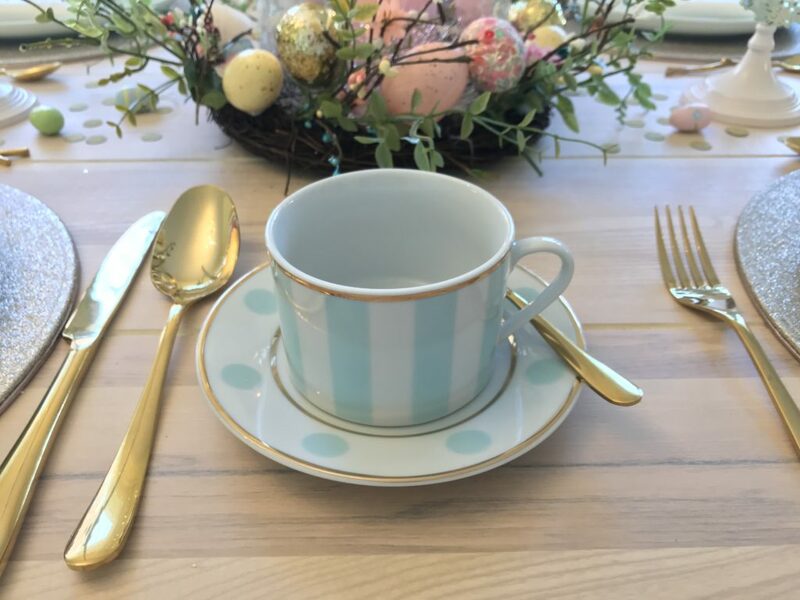 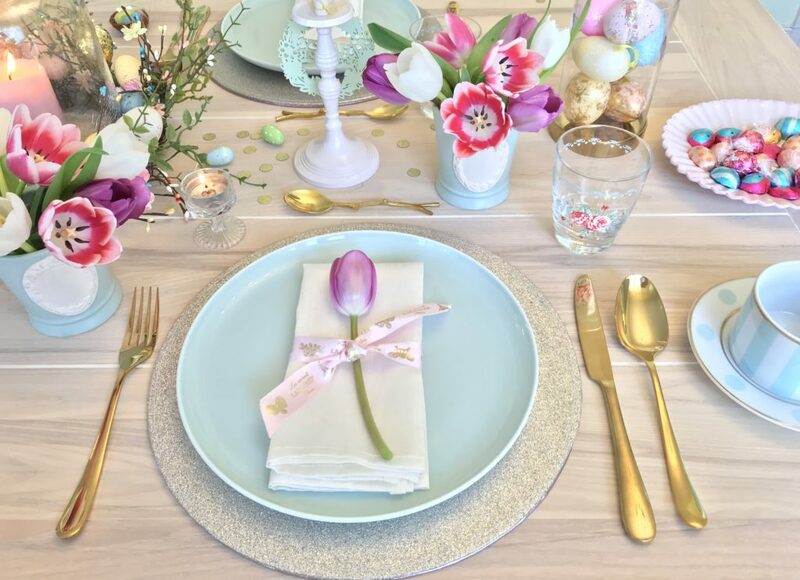 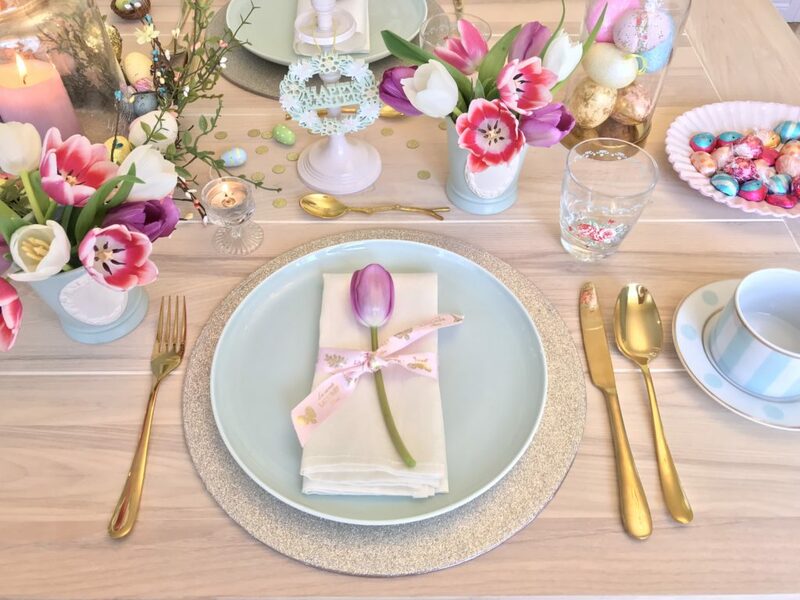 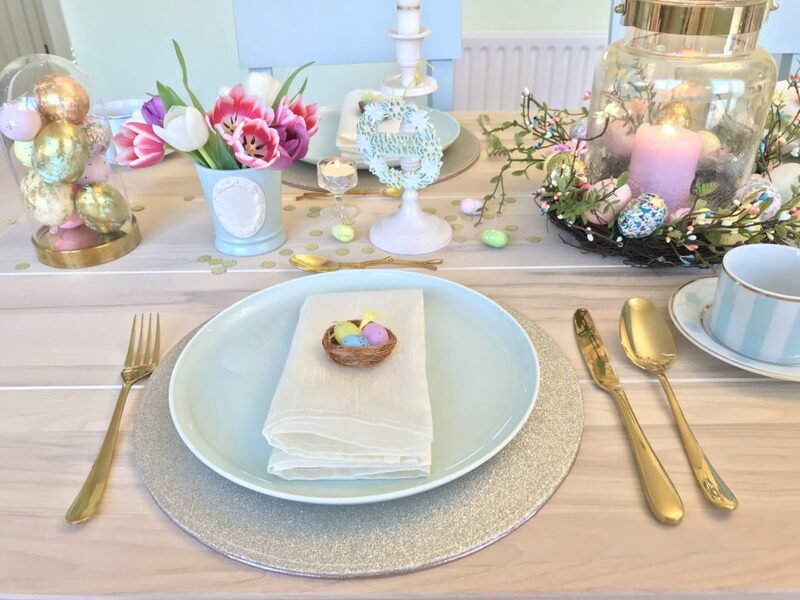 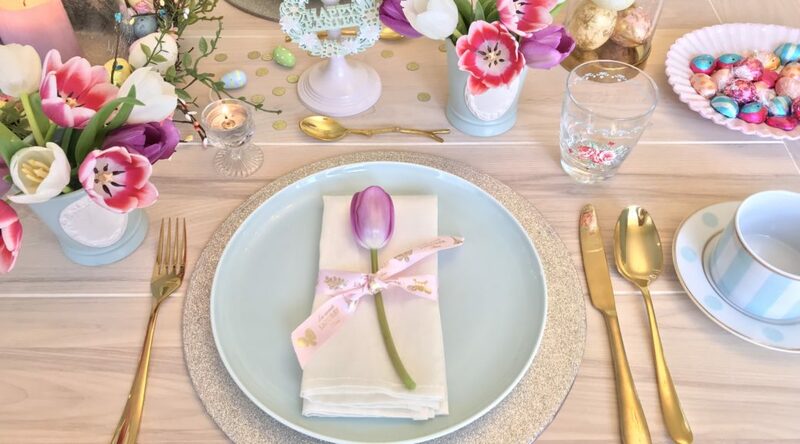 My favourites were in Dunelm and Matalan and I bought the mint dinner plates from the Pure range in Dunelm and the duck egg striped cups & saucers from Matalan which will match beautifully for my Easter table. 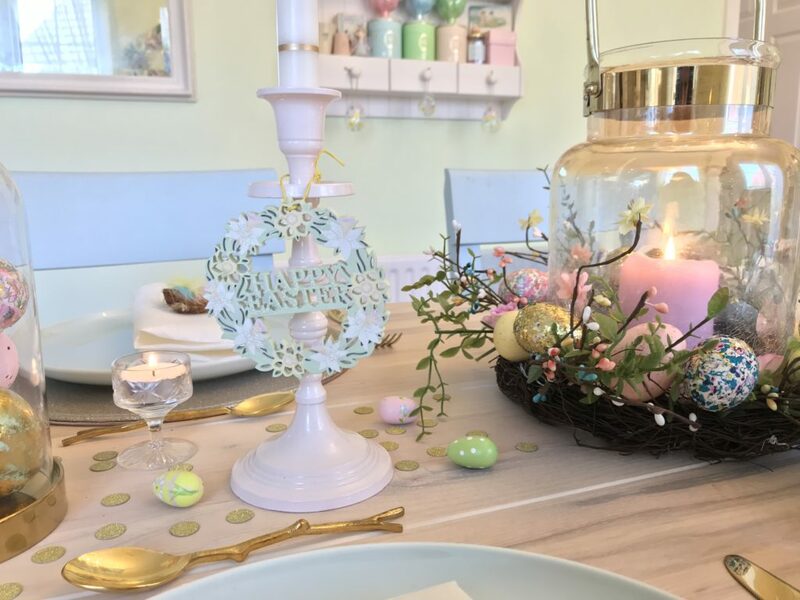 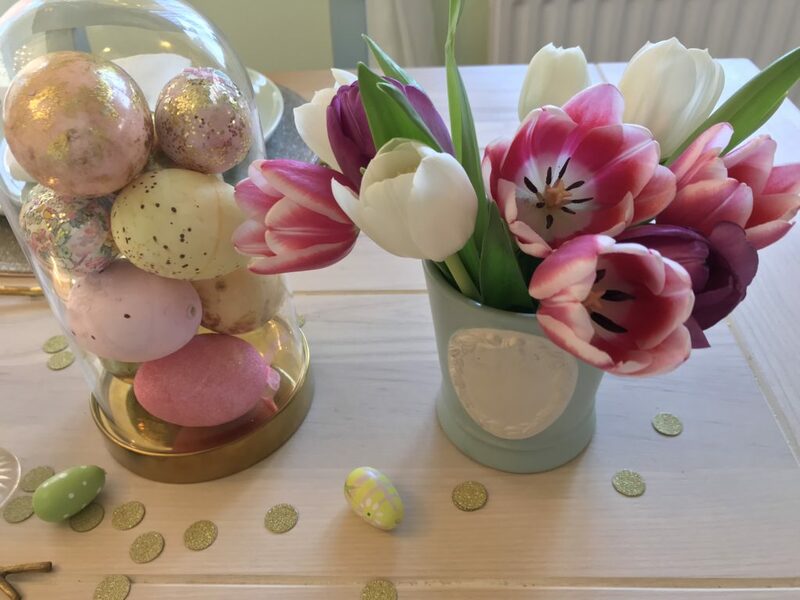 For pretty table decor I filled little vases with fresh tulips and put pastel coloured eggs in domes with some sparkly gold table confetti from the Ginger Ray range in Dunelm and the Easter garland from Matalan makes a perfect centrepiece with a hurricane vase sitting inside it as a candle holder. 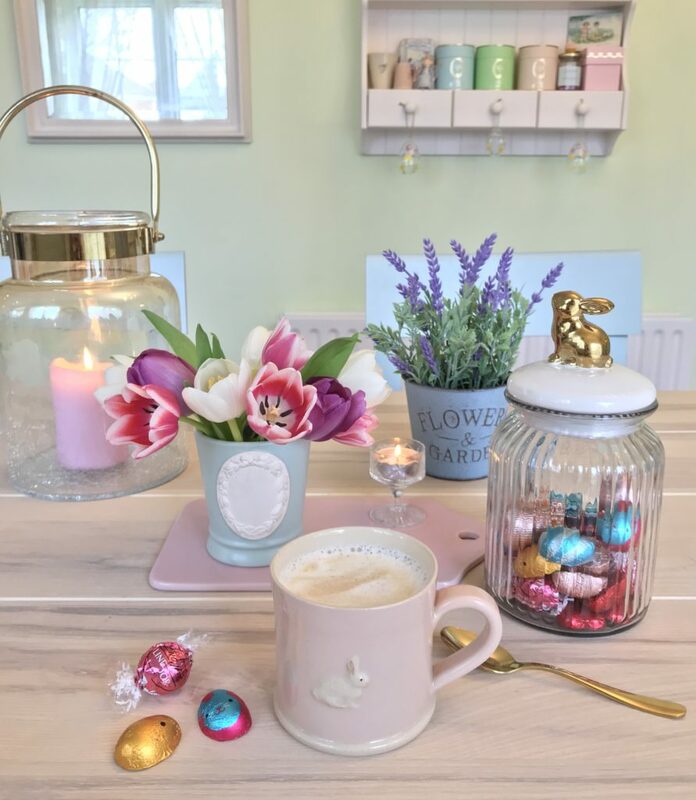 Another of my favourite shops to pick up cute Easter decorations is Tkmaxx and this year I found the cutest glass jar with a gold bunny on top and a gorgeous pastel pink Easter plate. 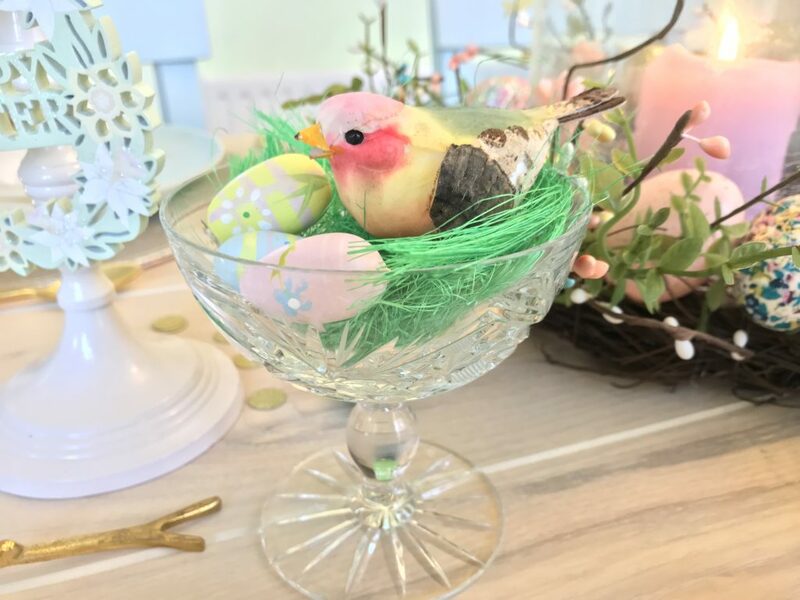 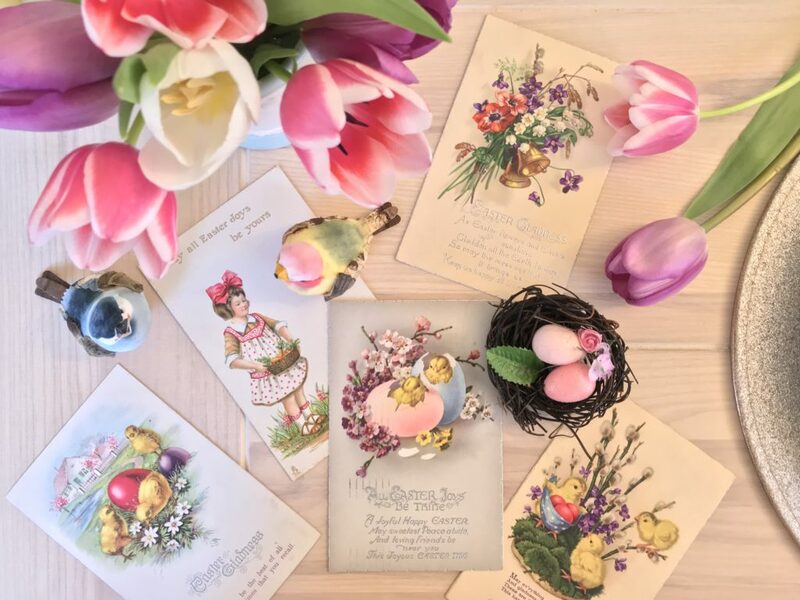 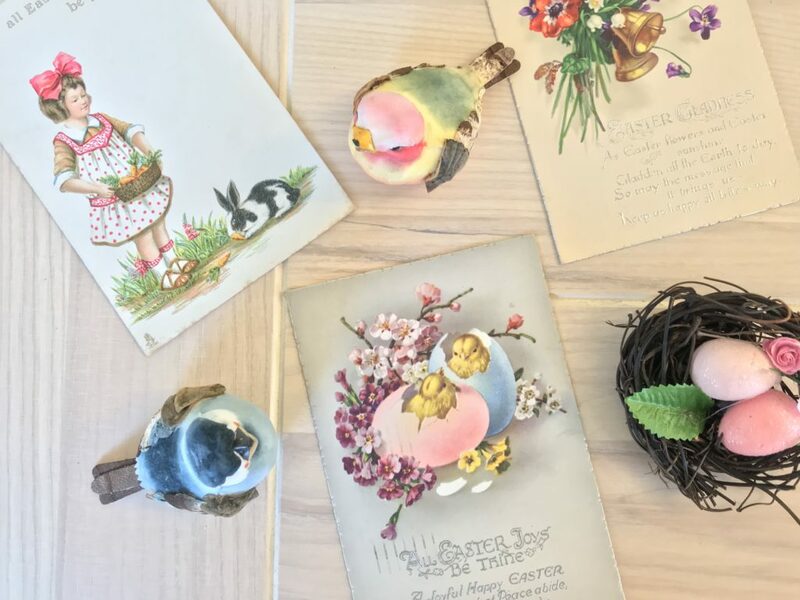 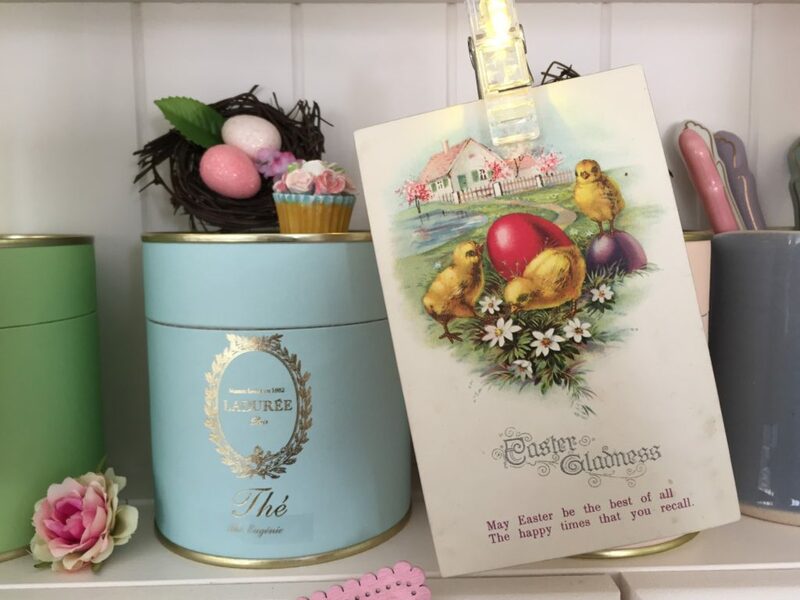 I also found the cutest little birds online at Notonthehighstreet.com and of course my vintage Easter postcards always feature in my decor at this time of year. 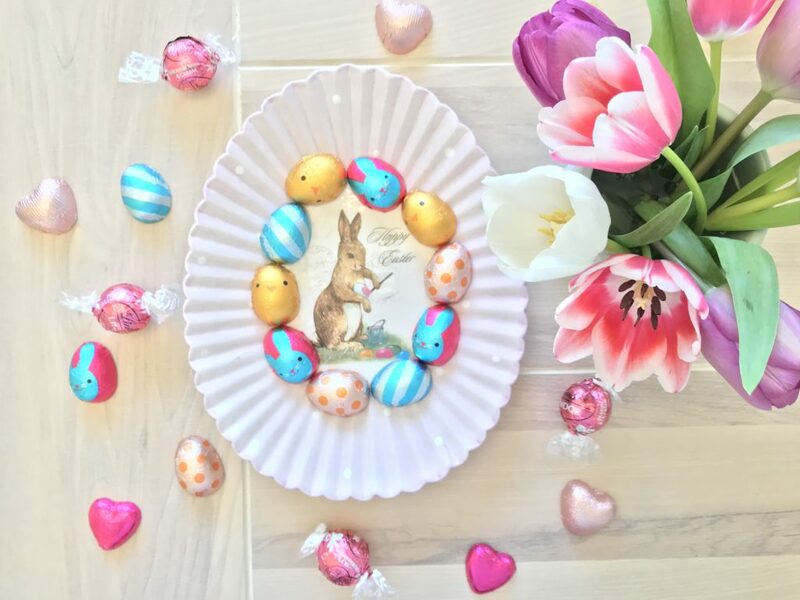 For an Easter door wreath I’ve added some Liberty fabric covered eggs to the Easter garland and also some little pink flowers and it looks super pretty! 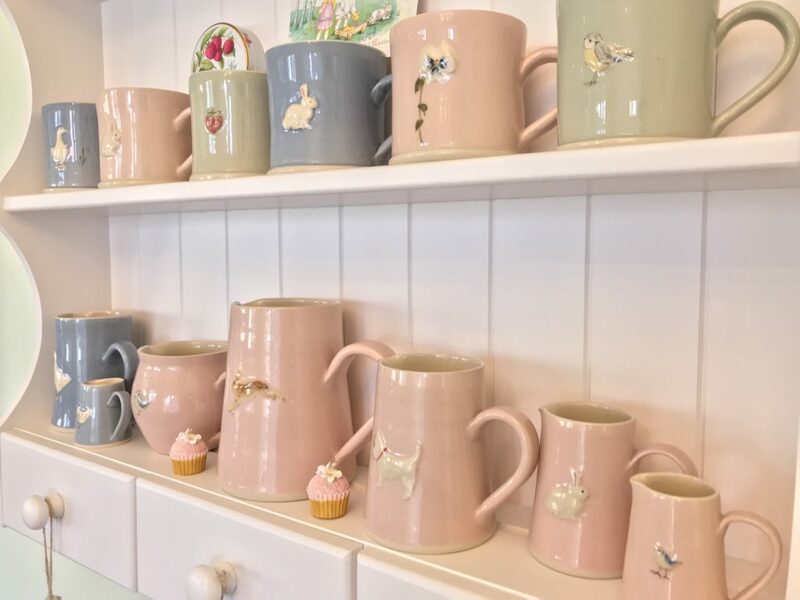 I always feel that my Hogben Pottery collection really comes into its own at Spring time and my kitchen shelf unit usually gets a little Spring makeover. 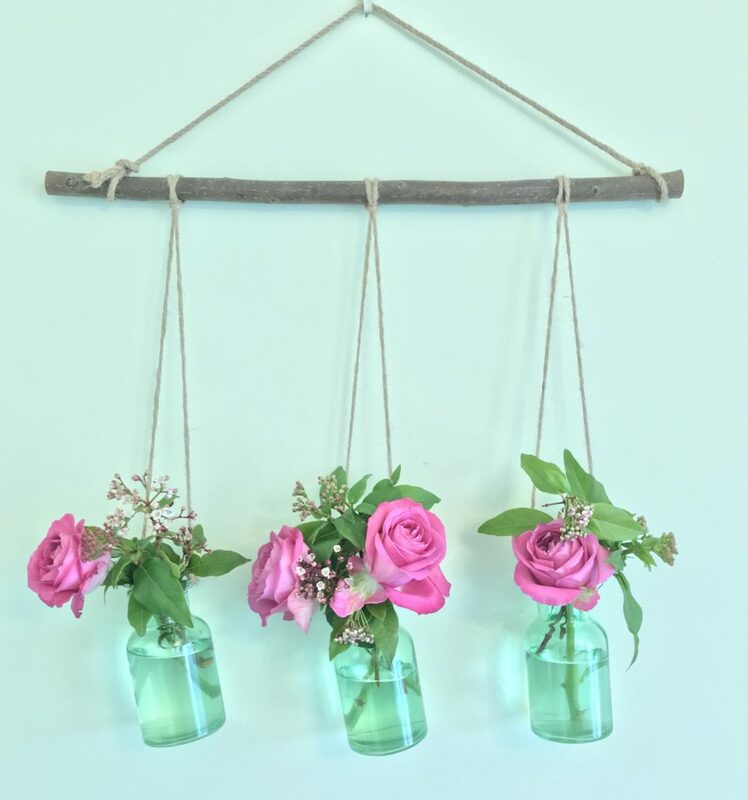 Another favourite this year is this hanging wood & glass vase set from Matalan and the hanging wooden frame from the same range which I’ve displayed a Chanel pic in to hang above my desk. 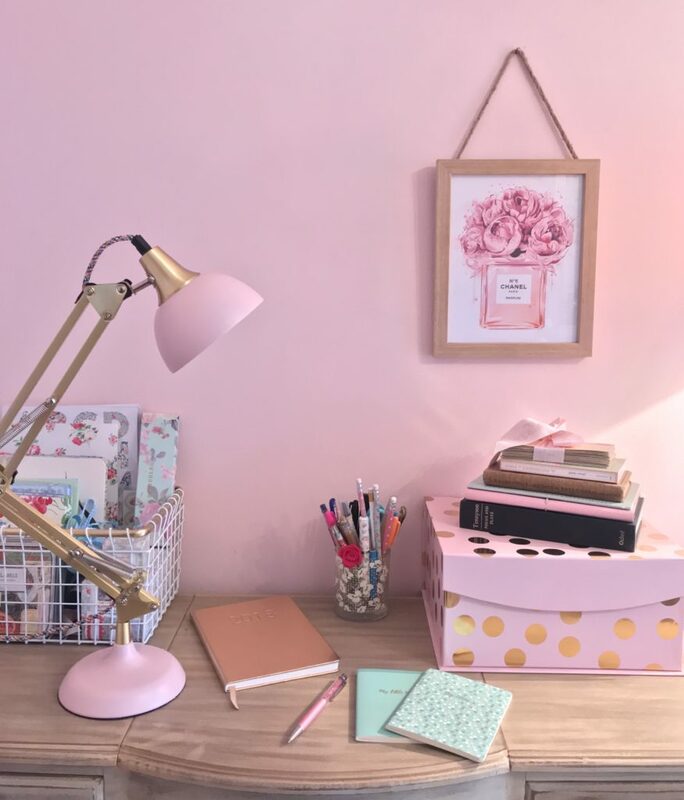 My pink & gold desk lamp was another Tkmaxx find as was the pink & gold storage box and the gorgeous little test tube vase rack was from Matalan. 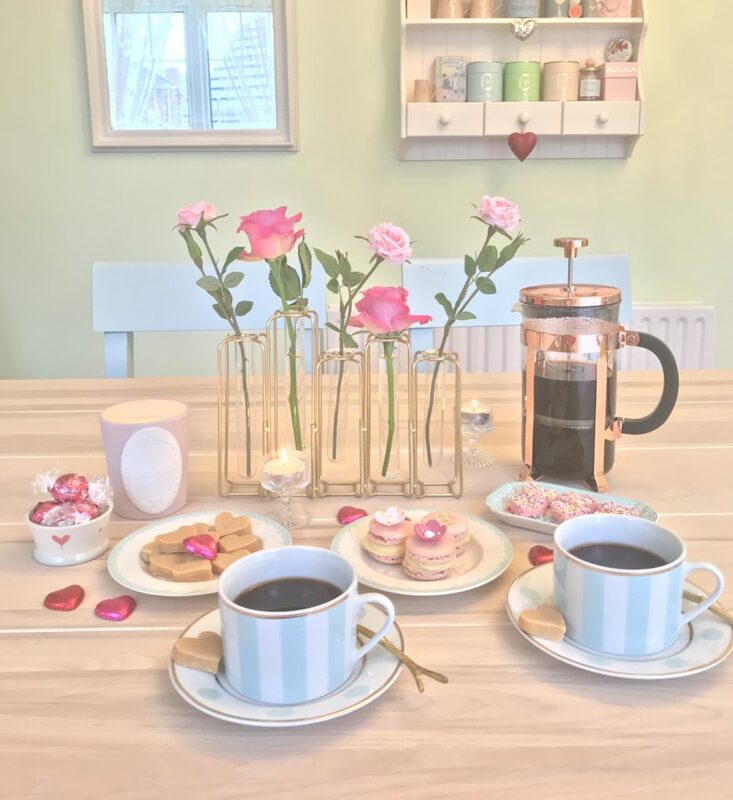 I found the rose gold cafetière in Tesco which was a bargain at £14 and looks every bit as good as the more expensive ones out there. 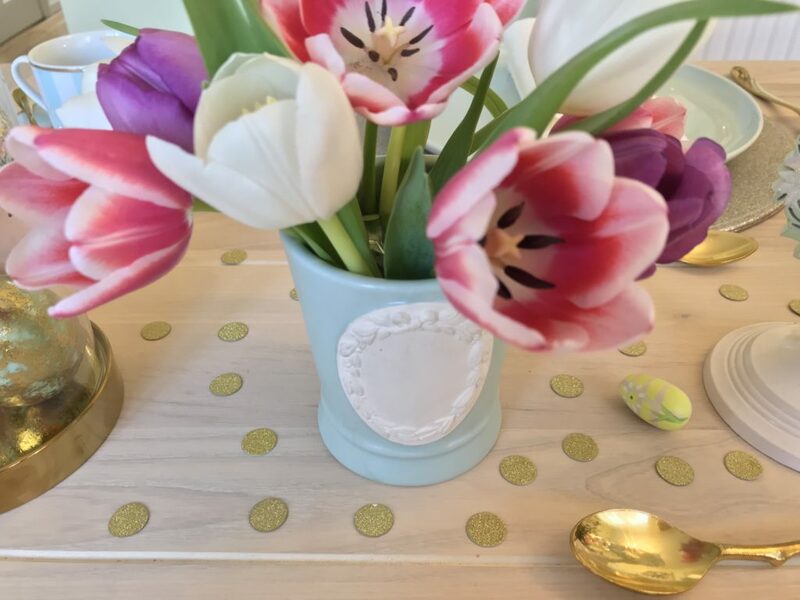 So that’s my latest little decorative accessories for around my home and if you follow me on IG or FB I’m sure you’ll see a few more sneaking in soon while hubby isn’t looking! 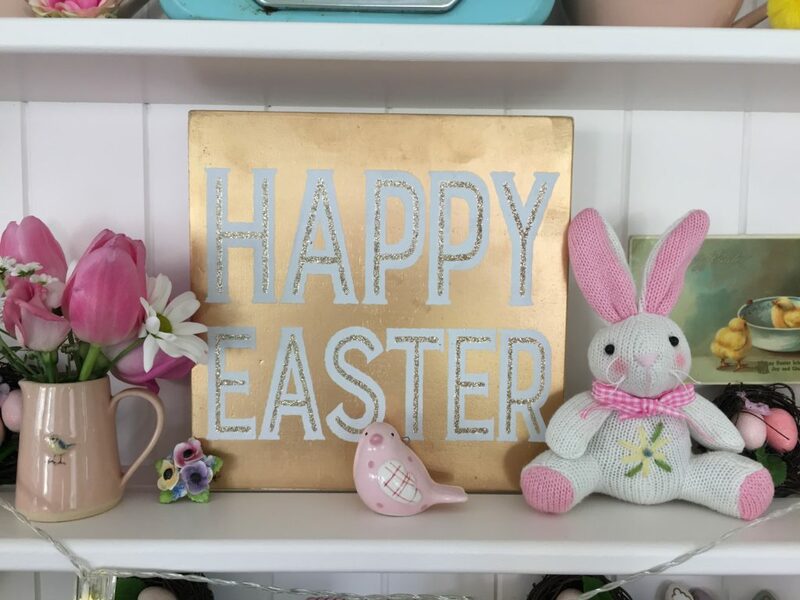 You have given me hope with all these pretty pastels …. 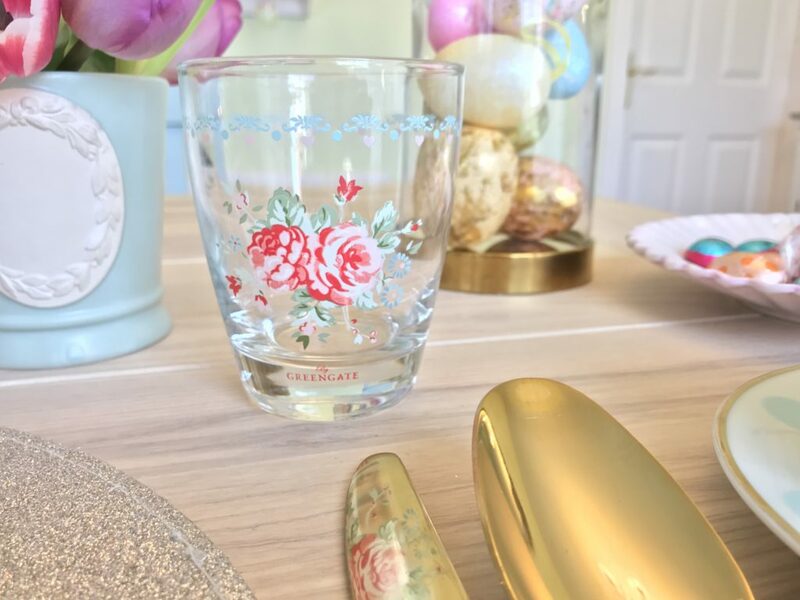 I just adore these tips Louise. 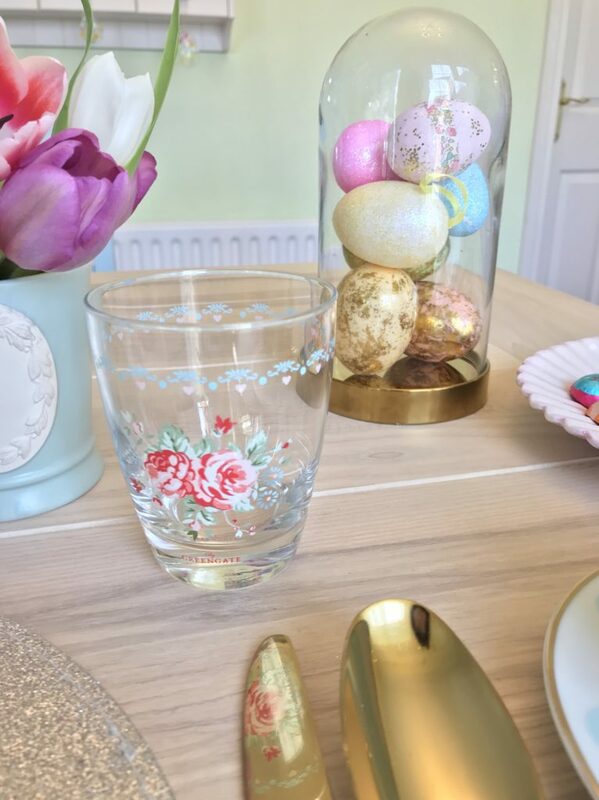 Will be off to the Lovely shops you got these beauts from. 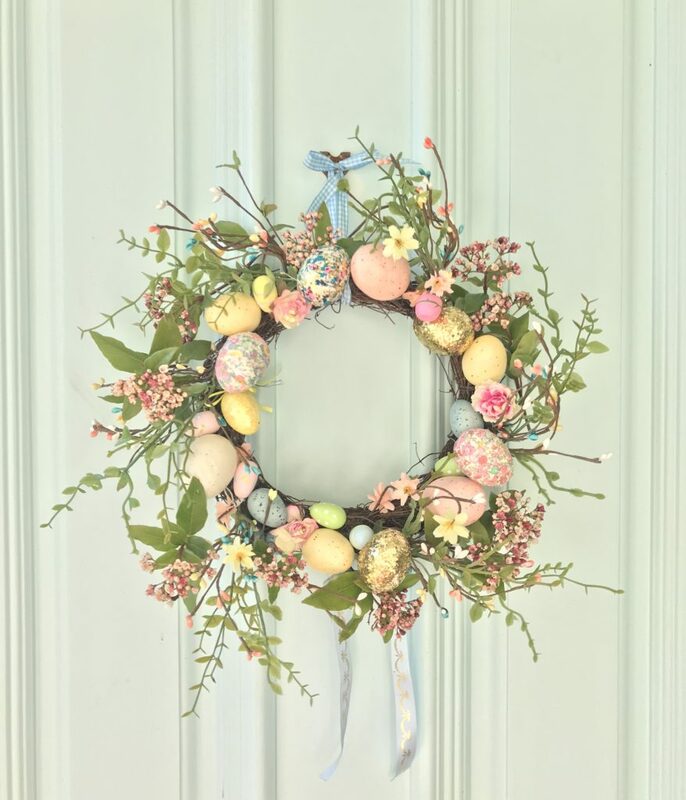 I think I will have a go at an Easter wreath too.